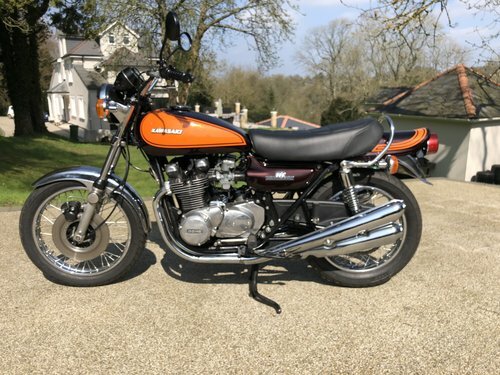 This is a beautiful and very low mileage 1973 kawasaki Z1 originally from Italy. 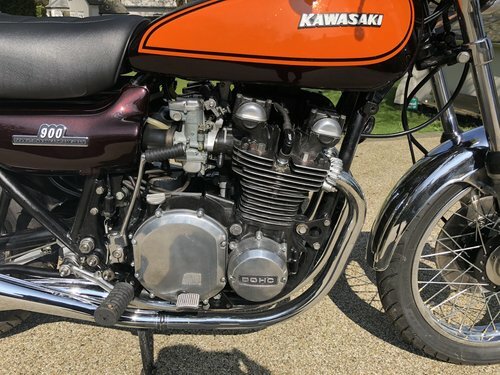 The bike has very closely matching engine and frame numbers only 17 apart. 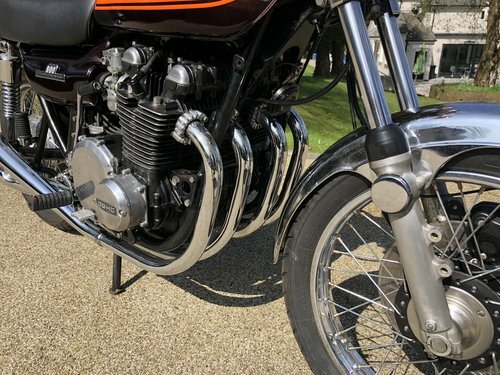 We bought the bike from the owner who had loaned it to the British transport museum where it had stood for several years. Since having it we have spent thousands recommissioning it and bringing up the lovely standard it now is. 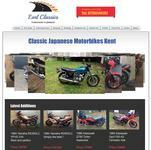 That has included new exhausts, paintwork, tires, chain, sprockets , brake pads, brake seals. In addition we have undertaken a top end rebuild with all new valves and guides, piston rings and re machine valve seats and bores deglazed. 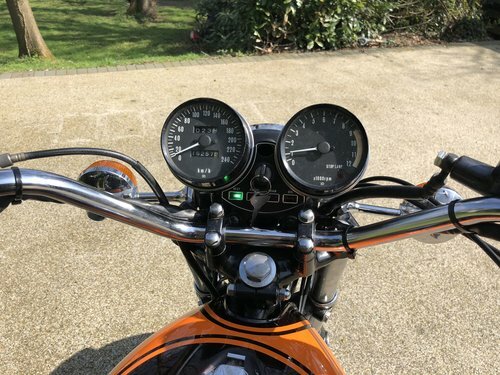 The bike now has a lovely quiet smooth and powerful engine and rides just as a Z1 should. 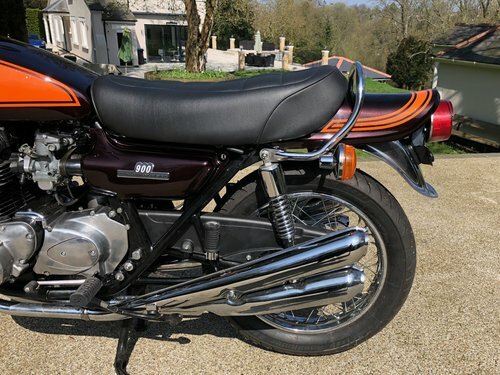 This is a beautiful bike and a great investment , it is now UK registered on a historic L plate and all ready for the summer. 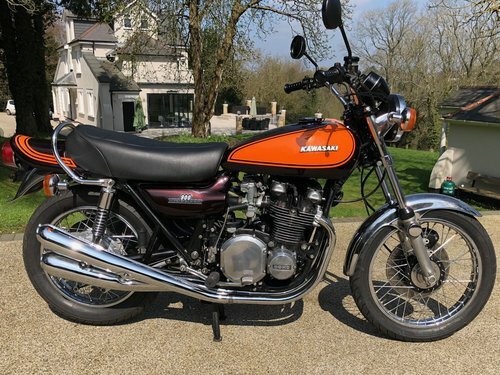 The bike will come fully serviced with an MOT until April 2019 and a six month warranty.